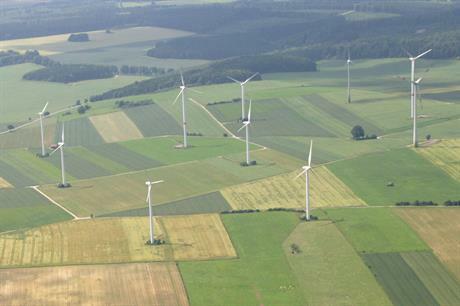 GERMANY: In the second onshore wind tender held this year less capacity was procured than was available and prices increased again, the federal energy regulator (BNA) stated. The BNA received successful bids ranging between €46.50/MWh and €62.80/MWh, with a weighted average of €57.30/MWh, it announced. This marks an increase on the €38-€52.80/MWh range and €47.30/MWh weighted average bid in February’s auction. The BNA granted contracts for 111 projects with a combined capacity of 604MW in the latest auction, having set the tender volume at 670MW. It marks the first time the capacity put forward was below the volume cap. The agency’s president Jochen Homann said this "confirms the trend" of declining volumes being bid compared to previous rounds. Bids for 2,927MW of projects were submitted in August 2017, 2,591MW was offered three months later, while 989MW was put forward in February. Developers European Energy, ERG and EnBW have confirmed successes in the auction securing support for 28.2MW, 21.6MW and 19MW respectively. The German Wind Energy Association (BWE) argued "legal uncertainties leading to replanning of projects and hesitation within the industry" led to the insufficient capacity of bids in the most recent auction. It called for more stable statutory framework following several changes to Germany’s energy policies in recent years. BWE president Hermann Albers said the government needed to maintain a "reliable legal framework to prevent strategic speculation in the market and to stabilise tender results". "The disruptive developments of the past have been a massive stress test for the wind industry, which has already led to employment losses. This should be avoided in the future. "Instead of questioning the good ideas of the coalition agreement, these must now be implemented quickly," Albers added. The most recent auction was the second to take place following rule changes in December that removed perceived advantages for "citizens’ projects". New parameters included scrapping concessions allowing citizens’ groups a 54-month implementation period — two years longer than the 30-month window for larger developers. Also under the new rules, all bids — including those for citizens’ projects — must have received a permit under the Pollution Control Act, and must have been registered with the BNA by 11 April. Citizens’ projects accounted for 15 successful bids, winning 113MW of capacity. They received the price of the highest successful bid (€62.80/MWh), as per tender rules. The highest concentration of successful projects was found in North Rhine-Westphalia (33), followed by Brandenburg (17), Mecklenburg-Vorpommern (12), Rhineland-Palatinate (11), Saxony-Anhalt, Lower Saxony and Schleswing-Holstein (seven apiece), Baden-Württemberg (six), Saxony, Thuringia and Hessen (three each), Bavaria and Bremen (one each).